We have currently 4 areas for banner ads on our site. 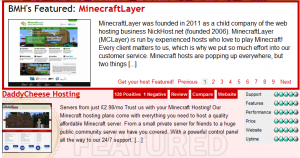 This form of advertisement is perfect for hosts if they are new and not a lot of reviews and also for the community to advertise anything Minecraft! 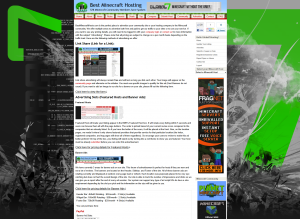 The banners are located on the Header, Sidebar, and Footer of the site. Each zone can be targeted via country and be bid upon to control the zone. Each location was purposely placed to be very eye catching but does not hurt the overall design of the site. Please note that we are using a bidding system and pricing was decided by our advertisers, not us! Current bid for the header: per day – Place your bid here. Current bid for the sidebar: per day – Place your bid here. Current bid for the sidebar boxes: per day – Place your bid here. Current bid for the footer: per day – Place your bid here. Rates displayed here refresh slower and may be not accurate. Please click on the link for the exact price per day! Don’t understand how our advertising system works? Email us and we can walk you through it or check out this tutorial here. Log in with your server login to see this link! If you don’t have one, please contact us for more information here. Have your branding stick out and be on every page! 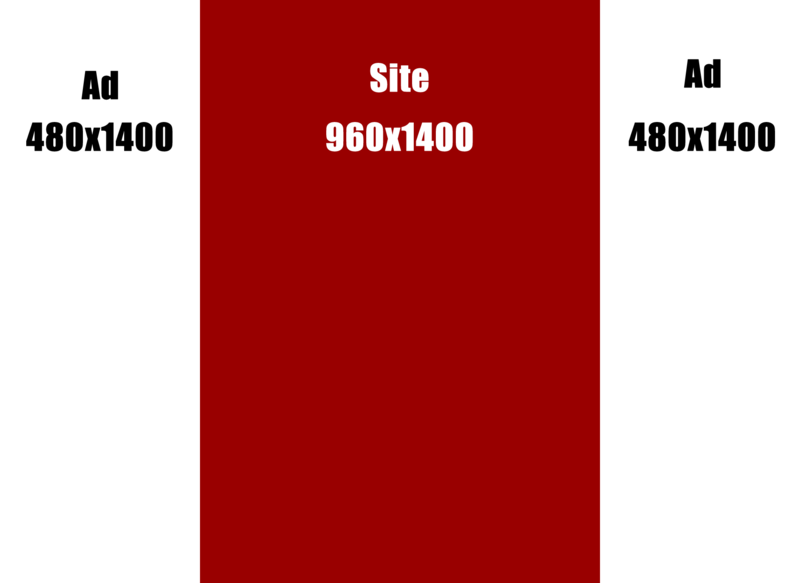 Create a background around the width of our site (960px). We need to pre-approve the backgrounds first, so please email us before you purchase. This form of advertisement is very eye catchy and will be very effective pushing out your branding. This advertisement gives you two 480×1400 fixed, clickable banners (from one 1920×1400 image. Click here to download templates) on the side of our websites content. Please note, depending by the users screen size, some of your ad content might be cut off and you should place the text closer to the site content div.